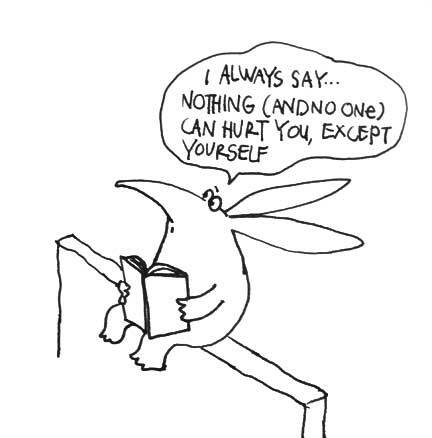 The anteater is a Gandhian! I think he was reading My Experiments with Truth by MK Gandhi. awesome! truth! experimental enough to laugh and cry ! anteater surely is Gandhian but he is also a Sooian ..